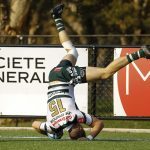 By now, most Australian rugby fans and players have realised that the National Rugby Championship simply hasn’t worked. In theory, it wasn’t a bad idea. A third tier provincial competition would give Australian rugby an equivalent competition to New Zealand and South Africa and allow Rugby Australia to earn their share of the revenue from the SANZAR broadcast deal. It would also give our players, contracted and non contracted, an opportunity to test themselves against the best in an attempt to move further up the pecking order at one of our Super Rugby clubs. But now, in its fifth season it’s clear the competition isn’t working. Fans decided long ago that the NRC wasn’t for them and now players, both contracted and non contracted are getting sick of travelling around the country to play in front of a handful of people. A growing portion of non contracted players now simply refuse to play. Almost everyone in rugby has an opinion on this but the consensus seems to be that something needs to change. So here’s my dumb idea for the day. Step one is to dump the NRC and quickly. Not only is it costing a fairly significant amount of money for little, if any return, but it’s also seriously burning out our players. A $30,000 Division Two contract in the south of France doesn’t look so bad when you compare it to catching a red eye flight back from Perth only a few hours after playing an NRC game and getting paid peanuts to do it. Step two is to extend the state based club competitions to somewhere between 20-24 rounds. Clearly, club rugby is thriving and I don’t think I need to talk too much more about that. Fans and players alike have made it fairly clear that tribalism and passion trumps professionalism in a superficial competition. Adding to that, from 2019 the June Test window has been scrapped and the Super Rugby season will finish significantly earlier. This means our contracted Super Rugby players and potentially even some Wallabies will be able to return and play for their respective clubs for close to half of the regular home and away season (based on 2018 draws) and the finals. Not only will this improve the quality of the various club competitions, but it will also give non contracted players a chance to play against contracted players week in week out and attempt to earn a professional contract. Young contracted players will also get a chance to grow and gain experience playing against men and they’ll do so in matches that actually matter. That sounds like a pathway to me. Step three is to launch a 16 team National Club Competition, similar to the European/Heineken Cup. 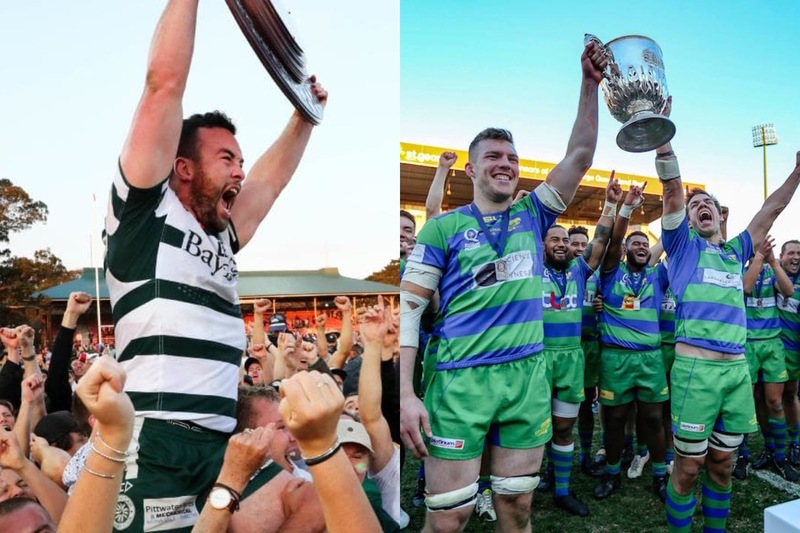 Based on the previous seasons results, the top six club sides from Sydney, top four from Brisbane and Canberra and a side from Melbourne and Perth would be placed into four pools. Each side would play three pool matches. The first on the Easter long weekend, the second on the June long weekend and the third on a standalone weekend in July. All three “Cup weekends” would coincide with bye rounds for all club competitions so it wouldn’t interfere with lower grades and colts. The pool stage would end by July and clubs would then focus on the remainder of their club season and finals. The knockout stage would begin the weekend after the October long weekend. The top two teams from each pool would play in the Champions Cup quarter finals, while the bottom two teams would contest the Challenge Cup quarter finals. For the second part of the competition, each side would be able to draft 5-8 contracted or non contracted players that are aligned with clubs that didn’t qualify for the National Club Competition. 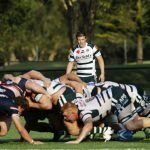 Super Rugby clubs can use the player draft to ensure their young contracted players feature in the competition, while aspiring non contracted players can also put their hand up for selection. It will also make the knockout stages more competitive, with the lower ranked sides selecting players first in the player draft. 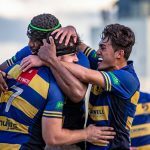 The quarter finals, semi finals and final of the Champions Cup and Challenge Cup would be played on three consecutive Sunday afternoons in October at the highest ranked sides home ground. 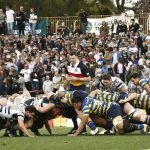 These matches wouldn’t clash with the Rugby Championships, the NRL or AFL finals or the Spring Racing Carnival and would be played on sunny Sunday afternoons in front of big crowds at club grounds around Australia. I reckon I’d make an afternoon of it and I don’t think the broadcasters, ideally free to air, would mind it either considering there’s almost no other sport played in that time slot. So how do we fit this all in? If all club grand finals were played on the weekend before the October long weekend, all sides that qualify for the National Club Competition would have at least two weeks to prepare for their first knockout match. If you work back from grand final day, a 22-round club competition could start in late March and allow for competition wide byes on the Easter and June Long weekends and one weekend in July. Importantly, both contracted and non contracted players would play meaningful matches all year round, clubs would have more opportunity to generate revenue and would go back to playing a full season, our young and aspiring players would get a chance to push for higher honours, we’d have a new product to take to broadcasters and our club competitions would continue to thrive.